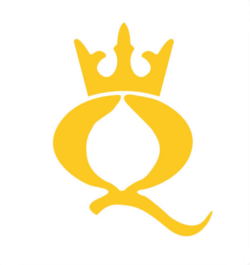 This up-to-date collection of documents, essential for understanding the evolution of the conflict and efforts to resolve it, avoids presenting one perspective or another. 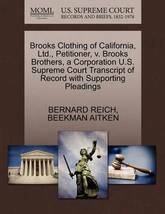 A brief introductory essay is followed by a chronology of major events and developments over the last century. The more than 100 documents or their extracts are arranged chronologically, and short introductions briefly discuss the place of the document in the history and evolution of the conflict. A selected bibliography points to important sources for further reading, and the index further enhances the use of this research tool, making this historical record easy to use for broad interdisciplinary courses. 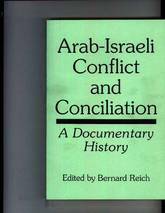 This is also an important reference acquisition for college, university, institutional, and public libraries and a companion volume to Bernard Reich's The Arab-Israeli Conflict: An Historical Encyclopedia (Greenwood Press, 1996). 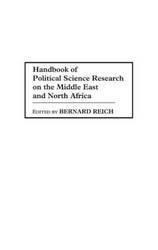 Facilitating research on Middle Eastern and North African politics, this volume is a major reference work. 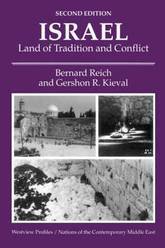 A series of chapters describe the post-World War II research on the politics of the states and of the Palestinians of the region. The literature on international relations of the region is reviewed and the approach to political economy is discussed. Written by the foremost experts on their respective subjects, the chapters also identify the gaps in the literature and fruitful areas for future research. The chapter references constitute a bibliographical treasure for those seeking to study the politics of the region. Annotations enable the reader to better select works for further research. This volume provides a complete analysis of the state of the field, an agenda for future research, and a detailed, annotated bibliography of the best research published. Since its independence in 1948, Israel has enjoyed a special relationship with the United States, as successive administrations have reaffirmed America's unshakable commitment to Israel's security. This study reexamines this relationship now that the Cold War and the Persian Gulf War have ended and the Israeli-PLO Declaration of Principles and the Israel-Jordan-Washington Declaration have dramatically altered the strategic and political balance in the Middle East. 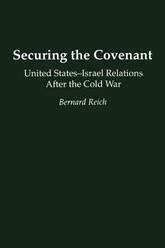 This volume, suitable for the general reader and useful as an undergraduate and graduate course text, reassesses the bilateral special relationship between the United States and Israel. The easy-to-read analysis by a noted authority on Israeli and Middle East policy is unique in its detailed examination of the political, strategic, and economic policy parameters of the U.S.-Israeli relationship and of the ideological factors that underpin the connection between the two countries. Since its independence in 1948, Israel has enjoyed a special relationship with the United States, as successive administrations have reaffirmed America's unshakable commitment to Israel's security. This text reexamines this relationship now that the Cold War and the Persian Gulf War have ended and the Israeli-PLO Declaration of Principles and the Israel-Jordan-Washington Declaration have dramatically altered the strategic and political balance in the Middle East. 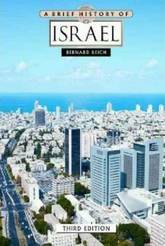 Reich considers the ideological-emotional link between the United States and Israel, the political-strategic alliance, and together with Howard Rosen, describes the economic links between the two partners. They explain the need for the United States to continue to play a central role in the Arab-Israeli peace process. The text includes an evaluation of the role of domestic politics in the formulation of foreign policy and points to future policy options. A chronology and selected bibliography further enrich this teaching tool that is designed for courses in foreign policy, comparative politics, and Israeli and Middle Eastern studies. 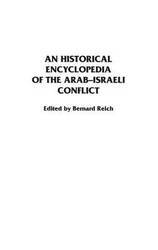 This first encyclopedia about the Arab-Israeli conflict by a team of experts gives detailed and comprehensive coverage of the important political, military, and diplomatic events, places, people, groups, agreements, treaties, and issues that have marked this controversial and complex regional and international conflict. A team of authorities with varying backgrounds, interests, disciplines, and perspectives gives special attention to the period since the adoption of the Palestine partition plan in November 1947, the first Arab-Israeli War up to the Israel-PLO Declaration of Principles and subsequent agreements, as well as the Israel-Jordan Peace Treaty and implementation process. Hundreds of entries arranged alphabetically provide hard-to-find information and point to sources for further reading and research. Extensive cross-references, a chronology of important events, a bibliographical essay, and a general index further enhance this basic research tool. Designed for broad interdisciplinary use by scholars, students, policymakers, and general readers of varying backgrounds, interests, disciplines, and perspectives in college, university, institutional, and public libraries. The modern State of Israel is a product of centuries of Jewish history that affect all aspects of Israel's society and culture, its politics, and its policies. Professors Reich and Kieval introduce us to a nation seeking to maintain and enhance its traditions while struggling to deal with present domestic and foreign challenges. They examine the land and people of Israel and the division between Jews of Oriental and Ashkenazi backgrounds as well as the division between Jewish and Arab citizens, before turning to the economic concerns facing a country virtually devoid of natural resources. 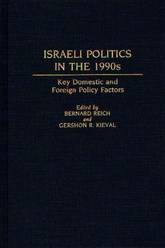 Their discussion of Israel's history provides the background for a detailed consideration of the dynamics of its political system.This new edition offers a comprehensive analysis of the implications of the 1988 and 1992 elections, the far-reaching impacts of the immigration of Jews from the former Soviet Union, and the evolution of Israel's special relationship with the Reagan and Bush administrations. 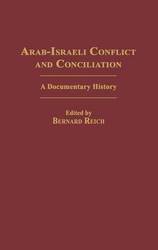 Reich and Kieval also offer a thoughtful discussion of the continuing Arab-Israeli conflict, focusing on the rise of the intifada and the current peace negotiations. What are the key factors that have transformed the Israeli political center and how will they shape Israel's role in the Middle East in the 1990s? Well-known experts join the editors, Reich and Kieval, in giving a unique picture of current and future trends in Israeli politics, focusing on the movement of the Israeli body politic to the right-of-center and the growing hold of Likud. They define future prospects, taking into account foreign policy, economic, and demographic issues. Academics, policymakers, and journalists will find this volume indispensable to understanding the critical role that Israel will play in the Middle East in the next decade and how domestic politics in Israel will define that role. 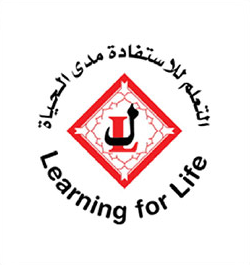 This survey of political developments by eleven authorities is based on a study of the latest events, on long reflection, and on two conferences that brought together sixty of the most knowledgeable experts on the Middle East today, drawn from the academic world and from various U.S. government departments and agencies. This analysis of political trends assesses Likud's centrality in the governmental system, the role of religious and settler movements, the linkage of domestic politics to the question of Arab-Israeli peace and the future of the West Bank and the Gaza Strip, and demographic, attitudinal, and other factors that affect political leadership and decisionmaking. The influx of Jewish immigration to Israel from the Soviet Union is viewed in terms of future implications as well. A detailed bibliography is provided. This masterful compilation of biographical essays on prominent Middle East and North African political leaders fills a void in the current reference literature. The essays, of substantial length and written by experts, cover 70 persons who have made an impact on world events since World War II...This valuable work is highly recommended for large general collections as well as for scholarly libraries. 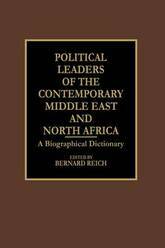 Library Journal Major Middle Eastern and North African political leaders are profiled in this biographical reference volume. It is one of the few systematic examinations of the political personalities and leaders in this area of the world. 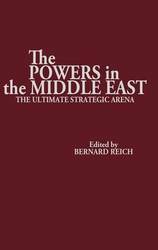 The book focuses on the period since World War II, a time that includes the formative years of many of the states, and examines the roles of these Middle Eastern/North African statesmen in the evolution of political life in their own countries or organizations and other political systems in the Middle East/North Africa and beyond. The geographical area covered is more extensive than that usually considered in works on the Middle East and includes Algeria, Bahrain, Egypt, Iran, Iraq, Israel, Jordan, Kuwait, Lebanon, Libya, Morocco, Oman, Palestine, Qatar, Saudi Arabia, South Yemen, Sudan, Syria, Tunisia, Turkey, the United Arab Emirates, and Yemen. Moshe Dayan, Saddam Hussein, Golda Meir, Muammar Qaddafi, Anwar al-Sadat, and Yasser Arafat are among the leaders included. They were selected because they are leaders of note who have had a substantial effect on politics in the Middle East and North Africa. 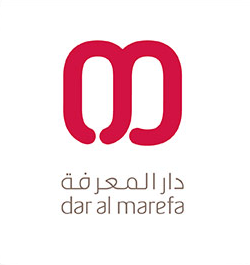 The profiles include basic who's who information but reach far beyond that to explore the personal and political evolution of the individuals, their methods, programs, and goals, and their contributions to the political past, present, and probable future of their own countries, the Middle East and North Africa, and the international arena. 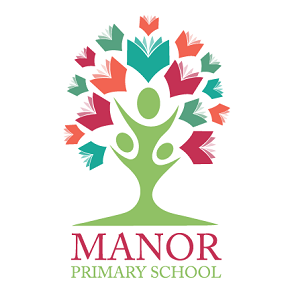 A brief bibliography of works by and about the subject follows each essay and provides sources of further research and information. Also included are a general subject index and chronology. This comprehensive work will be of interest to historians, teachers and students of Middle Eastern/North African history and politics and, because of its timeliness and relevance to current events, the general reader concerned with what's going on in the world today and why. 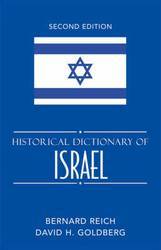 This third edition of Historical Dictionary of Israel contains a chronology, an introduction, appendixes, and an extensive bibliography. The dictionary section has over 1100 cross-referenced entries on significant persons, places, events, government institutions, political parties, and battles, as well as entries on Israel's economy, society, and culture. This bibliography, first published in 1990, is a result of a quarter-century professional and personal relationship between two academics interested in Middle East studies. 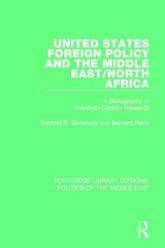 The comprehensive bibliography consists of western, primarily English, language sources published through 1988 and early 1989 concerning foreign policy toward the Middle East and North Africa during the twentieth century. 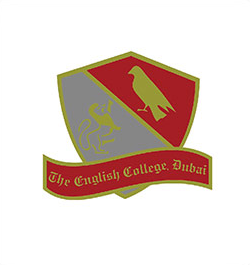 Included are materials that deal directly with the topic, material that has appeared in published form, ie books, monographs, essays and articles. Also included are some non-published items, most importantly American and British doctoral dissertations and master's theses. 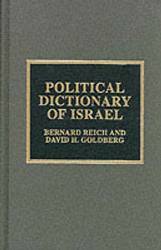 The second edition of the Historical Dictionary of Israel addresses the need in the literature on Israel for a comprehensive impartial information source about the various diplomatic and political personalities, institutions, organizations, events, concepts, and documents that together define the political life of the Jewish state. This is done through a chronology, an introductory essay, a bibliography, and hundreds of cross-referenced dictionary entries on significant persons, places, events, government institutions, political parties, and battles, as well as entries on Israel's economy, society, and culture. 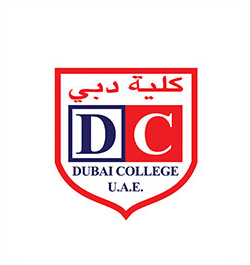 An extensive collection of published material in different print formats, microform, essays, monographs, and articles, as well as graduate school efforts, in western languages up through the end of 1992 and into 1993. Extensive coverage is provided for the Persian Gulf War. Citations are organized by selected index terms, with an accompanying author index. 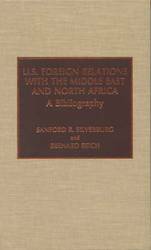 Updates and expands the authors' 1994 title U.S. Foreign Relations with the Middle East and North Africa: A Bibliography. Nearly 3,500 discrete professional or scholarly sources are compiled in this new volume, mostly in Western languages.  Titles are organized by carefully chosen descriptors which reflect general categories while simultaneously focusing as closely as possible on the individual sources. The A to Z of Israel addresses the need in the literature on Israel for a comprehensive impartial information source about the various diplomatic and political personalities, institutions, organizations, events, concepts, and documents that together define the political life of the Jewish state. This is done through a chronology, an introductory essay, a bibliography, and hundreds of cross-referenced dictionary entries on significant persons, places, events, government institutions, political parties, and battles, as well as entries on Israel's economy, society, and culture. The region known as the Middle East and North Africa has been a major focal point of international concern for centuries and that attention has increased and intensified since World War II. The states of Asia have been interested in the Middle East because of its vast oil reserves, on which many are dependent, and because of the revenues produced, creating large and important markets for the goods, services, and labor found in the Asian states. There is also a significant Muslim population in Asia. 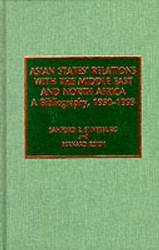 This volume provides the first comprehensive listing of the published (and some unpublished) theses and dissertations on the relationship between Asian states (from Pakistan in the West to Japan in the East) and the Middle East and North Africa. In this volume, the authors have assembled and classified the literature available in English and other western languages for the reader and researcher interested in learning more about the extent and variety of the relationship between these two regions. In this regard, bilateral and multilateral relationships in numerous spheres of activity have been examined. Few countries of its size have attracted more attention, and aroused more controversy, than Israel. It is a country beset by conflict in its region and faced with the need to integrate immigrants and to weld individuals of disparate backgrounds and ethnicity into a modern and advanced state. And, although small in size and population, it has played a significant role in international relations. 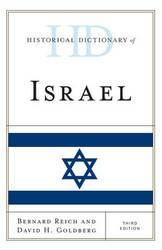 This companion book to the Historical Dictionary of Israel provides, in a single source, a comprehensive and up-to-date reference volume with detailed information about every aspect of the political life of contemporary Israel, as well as serving as a guide to the complexities and nuances of contemporary Israeli politics. It fills a gap in the literature by providing comprehensive information about the various diplomatic and political personalities, institutions, organizations, events, concepts, and documents that together define the political life of the Jewish state. The Political Dictionary of Israel will provide both students and scholars with extensive information and serve as a starting point for further research on the topic through its detailed bibliographical references. Israel is a modern country with a short history set into the lengthy story of Jewish history. A Brief History of Israel, Third Edition explores that history with an emphasis on the period since Israel's independence in 1948. It is a complex story of a people and their modern state, established thousands of years after the destruction of the old one. The story of the independent state of Israel is narrated against the backdrop of exile, anti-Semitism, Zionism, and the Holocaust-all of which have helped shape the nature of the current state. The chronological narration begins with the time of Abraham and the period of the Israelite kingdoms and continues to World War II and the United Nations Partition Plan. A Brief History of Israel, Third Edition explores the independent country of Israel, including the Arab-Israeli conflict, domestic politics, the economy, and international relations. This bibliography, first published in 1990, is a result of a quarter-century professional and personal relationship between two academics interested in Middle East studies. The comprehensive bibliography consists of western, primarily English, language sources published through 1988 and early 1989 concerning foreign policy toward the Middle East and North Africa during the twentieth century. Included are materials that deal directly with the topic, material that has appeared in published form, ie books, monographs, essays and articles. 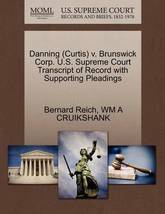 Also included are some non-published items, most importantly American and British doctoral dissertations and master s theses. This is an updated look at Israel's tumultuous history.The complex tale of Israel's people and their modern state, established thousands of years after the destruction of the old one, is narrated against the backdrop of exile, anti-Semitism, Zionism, and the Holocaust. 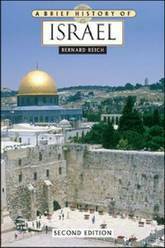 A Brief History of Israel, Second Edition explores Israel's history with an emphasis on the period since its independence in 1948. The chronological narration begins with the time of Abraham and the period of the Israelite kingdoms and continues to World War II and the United Nations Partition Plan. 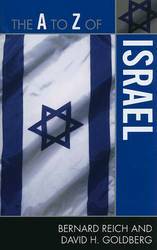 This comprehensive reference then examines the independent country of Israel, including the Arab - Israeli conflict, domestic politics, Knesset election results, the economy, and international relations. Completely up-to-date, this second edition features a new preface, a revised introduction, a revised glossary of political parties, a new final chapter, and updated appendixes.Coverage includes: the period since Israel's independence in 1948; the Middle East peace process; economic and political challenges; Israel's withdrawal from the Gaza Strip; the creation of the new Kadima Party and the election of 2006; and, Hamas' election victory and its effect on Israel.